Until You Change, Everything Remains the Same. So many people are caught in a mental trap. They believe that to improve the quality of their lives, others must change—Government, Society, Friends, Family, etc. This means they ultimately believe that circumstances outside of their control create their lives. While it’s true; there are many things in government and society—and possibly in your friend and family relationships—that could be better, the path to happiness and fulfillment in an internal journey, a shifting of awareness. As Viktor E. Frankl reveals in his book Man’s Search for Meaning, It isn’t your present circumstances that give meaning to your life, it’s what you believe about your circumstances that creates your life’s meaning. If you believe things are hopeless, then they are hopeless. If you believe you have no control over your future, you give up your control. However, if you believe there is hope and you nurture it, you’ll discover ways to improve your situation. If you believe you have control over your future, you’ll take the action necessary to shape it as you desire. 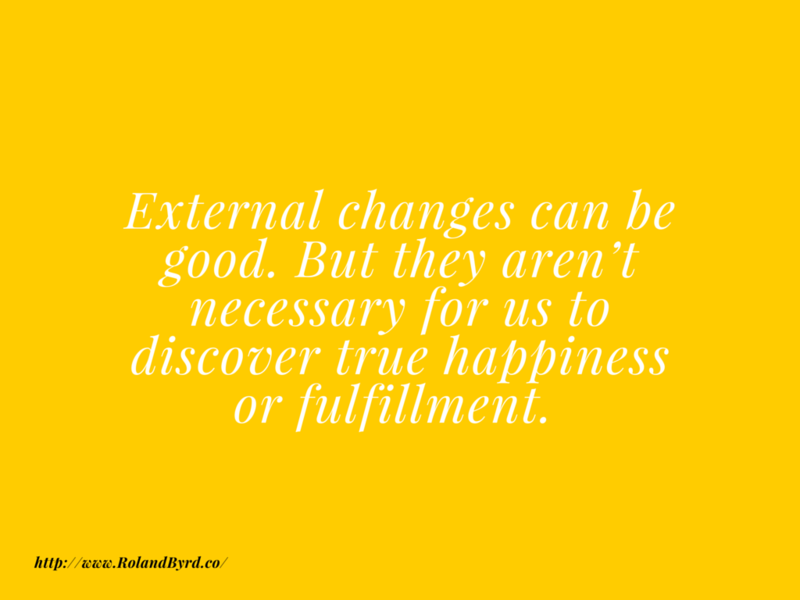 External changes can be good. But they aren’t necessary for us to discover true happiness or fulfillment. The only thing that truly brings lasting happiness and fulfillment is changing from within, creating a core shift in how you process life. 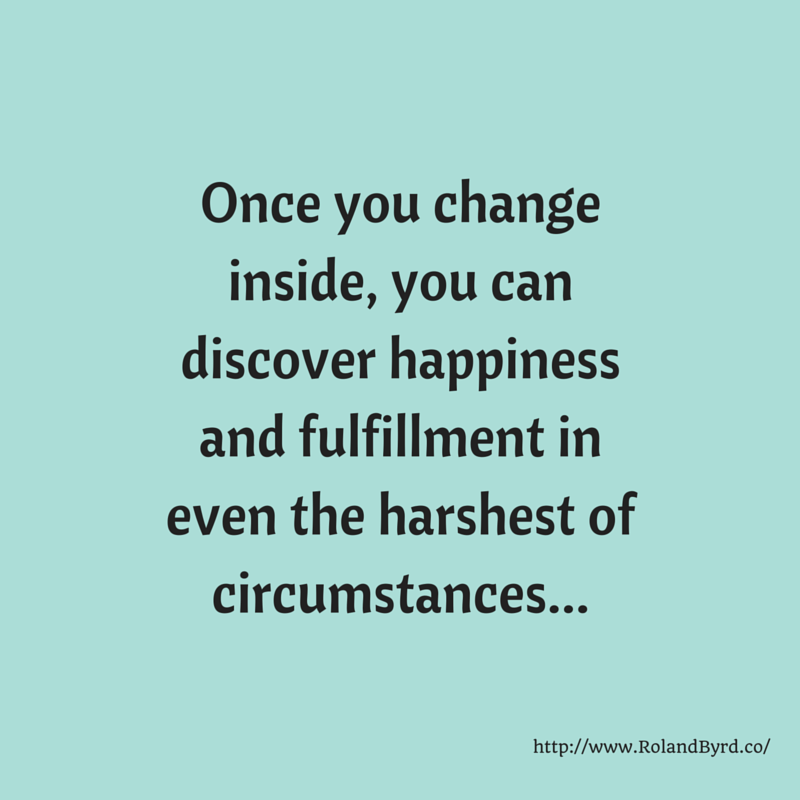 Once you do this, once you change inside, you can discover happiness and fulfillment in even the harshest of circumstances because you wake up to this truth: Though others can act upon your physical being, they cannot touch your spirit unless you give them that power. That means they can never keep you down emotionally, they can never crush you mentally, emotionally, or spiritually unless you allow them to. One of the best ways to start changing from the inside is to create the habit of daily meditation. If you’re already on the path of personal evolution, daily meditation will also help reinforce it. Meditation has many benefits. In relation to changing from the inside; meditation quiets your mind. 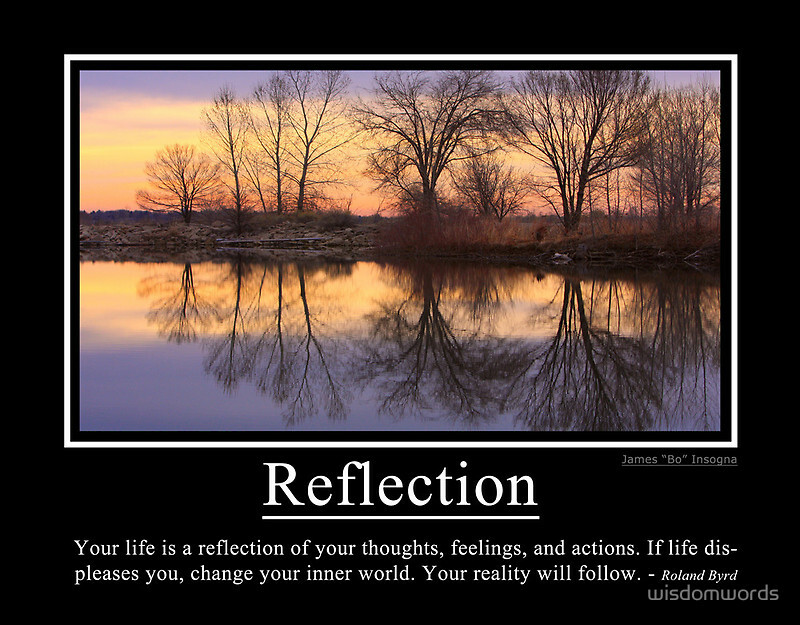 It also helps you keep life in perspective by revealing the temporary nature of thoughts. While you meditate, thoughts flow into and out of your awareness. If you let them pass without dwelling on them, they slide on by. If you mentally grab hold of them, then they are harder to release and must be acted upon. One of the things that keeps people from internal change is the habit of latching onto disempowering thoughts. Since your thoughts shape your perception of reality, holding on to thoughts that are disempowering sets a negative tone in your life. It’s like feeding your mind toxins while expecting it to remain healthy. Holding on to negative thoughts also severely limits your ability to change because it stifles motivation and creates a victim mindset—where we blame our woes on things, circumstances, or other people. Understanding that thoughts are transient in nature allows you to flow with them. Then you can effortlessly release those that fail to serve you and use those that are helpful. And that’s key to changing from within.